Louise Grant discusses how pre-habilitation can help clients about to undergo hip surgery. As chartered physiotherapist, I have a specific interest in hip patients and prehabilitation generally. Prehabilitation means analysing an individual’s posture, movement patterns, muscle control, biomechanics, core stability and functional capability before surgery and designing an appropriate programme of exercises with an aim to improve recovery in the rehabilitation process. Over the last 20 years, there have been steady advances in the field of hip preservation surgery. Patients undergoing this type of operation can be of any age; however, subjects over the age of 50 have a higher risk of an unsuccessful outcome <1>. 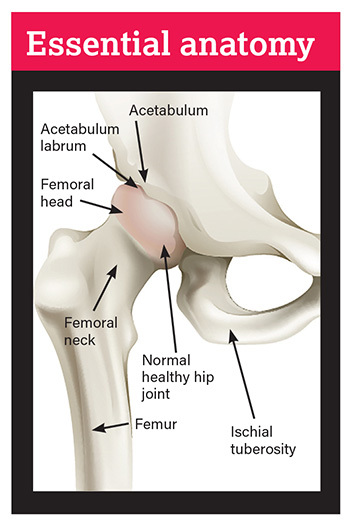 There are many types of hip abnormalities, resulting in many types of different surgical techniques. In this brief introductory article, I will focus on approaches for patients undergoing hip arthroscopy for what is known as femoroacetabular impingement (FAI) before outlining what a fitness professional needs to be aware of if they are to be supportive of the patient in the prehabilitation process. 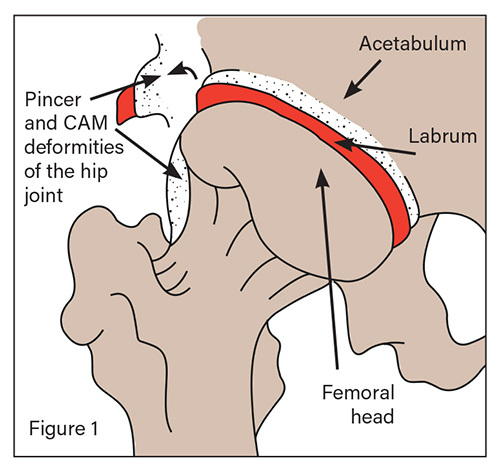 FAI may be briefly described as an abnormal abutment between the femoral neck and acetabular rim, causing a boney impingement (Figure 1). As with any surgery, a thorough differential diagnostic testing approach, coupled with orthopaedic screening, a clinical examination and information from a patient’s history, is essential in determining both the real cause of the patient’s pain and its effective surgical resolution <11-14>. Additionally, everyone involved needs to reach an understanding (preoperatively) that, while mechanical problems can often be corrected through surgery, functional deficits will need to be addressed through the rehabilitation process. Therefore, there are benefits to a team approach in this period, where all professionals involved in a patient’s care are communicating effectively, with this dialogue following through to the recovery stage <4>. 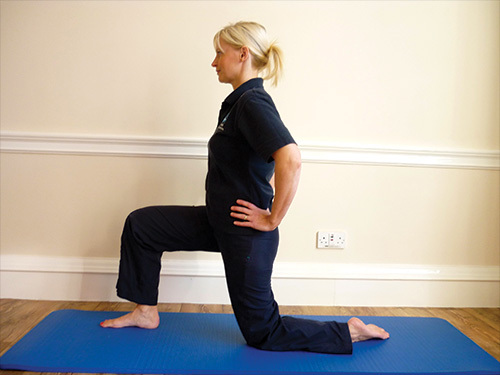 Exercises that are highly appropriate for many FAI patients are those for strengthening the hip flexors, external rotators, hip adductors and abductors. These muscle groups have been reported to be weak in many patients. Abnormal movement patterns and imbalances of lower limb muscles that have been observed in individuals with FAI, and hip pain generally, may additionally alter lumbo-pelvic-femoral motion, which can then lead to additional problems in other structures <16, 17, 18>. For example, studies have demonstrated that, if the hamstrings are more dominant than the gluteus maximus during prone hip extension, then increased joint reaction force is generated through the anterior aspect of the hip joint <19> .There are also theories with respect to imbalance of the hip abductors and adductors (cross chain weakness) and the impairment of dynamic, lumbo-pelvic stability and the effects that this might also have. As a consequence, it is important to observe precisely how movements are being performed, which muscle(s) is (are) doing the job and how this in turn might affect the joints and soft tissues. 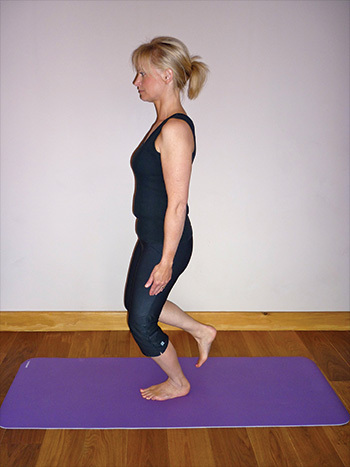 Individuals with FAI may present with a sway back posture, resulting in the femoral head being pushed forward against the anterior structures of the hip <20>. 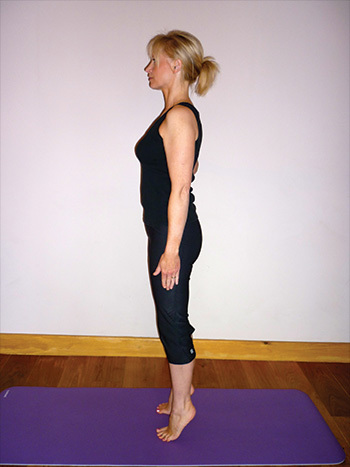 In this posture, the pelvis is tilted posteriorly and the line of gravity moves posteriorly to the hip joint, resulting in disuse atrophy of the gluteal muscles <21> (Figure 2). 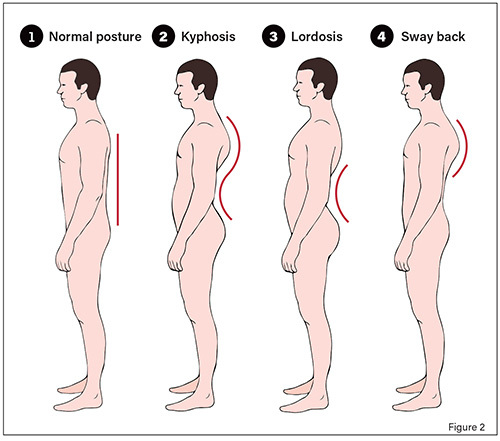 Another posture type that is found in hip pain sufferers is the lordotic posture, displaying an anteriorly tilted pelvis and weak, lax abdominals. The HAPI Hip Arthroscopy Prehabilitation Intervention study: Does prehabilitation affect outcomes in patients undergoing hip arthroscopy for femoroacetabular impingement? (ISRCTN 13779749) will shortly be published. The purpose of this randomised prospective comparative controlled pilot study was to determine whether specific exercises done by patients before hip arthroscopy surgery for femoroacetabular impingement affect post-operative recovery. The study showed positive trends towards implementing appropriate exercises before surgery. Joint protection strategies can be taught, which may help in the reduction of pain in the pre-operative period. With specific patients, it is important to avoid end-range flexion and internal rotation. In individuals with structural instability, it is advised to limit end-range hip extension and external rotation. Intra-articular injured patients are advised to avoid all movements that aggravate pain and walking aids should be utilised if gait is painful <8>. Muscle inhibition is thought to occur when swelling is present. Decreased gluteus maximus activation following hip joint effusion (swelling) may result in reduced strength, which may alter normal lower extremity biomechanics <26>. Therefore, the use of pain and anti-inflammatory modalities, activity modification and avoidance of pain-provoking exercises could be considered to reduce pain and inflammation and minimise the possible effects this has on muscle function. In our many years of experience at our hip clinic, 90% of our FAI patients have reported the clam exercise to be provocative in their symptoms; we therefore do not recommend this to them. To see a demonstration of the clam, visit ouh. Differential diagnostic tests should first have identified that the hip is the main driver of the pain. However, there may be compensatory effects on the lumbar spine and sacroiliac joints <27>. Extra-articular problems may also coexist that may need additional input, while specialised pre-operative care and postoperative planning is required in patients with hypermobility and any specific rheumatology disorders. General physical function and fitness needs to be considered, including how the patient will cope physically at home, possibly alone, in the post-operative period. A patient who pre-operatively understands the complexities of surgery and the part they need to play is better equipped for the recovery process. Expectations need to be discussed before surgery and self-management strategies put in place to address the patient both locally (the hip) and globally (the person). In summary, there are many factors to consider when planning for hip preservation surgery. These include performing a thorough assessment, putting goals in place, being mindful of the elements discussed in this article and noting the big message – it is definitely not ‘no pain, no gain’ with these individuals! Putting the correct foundations in place during the pre-operative period aims to assist in a strong, structured plan for recovery and an optimum patient experience.